Sail through troughs and crests when wrapped in Avant grade style from Snehal Creation like this The Boat-necked Beauty in Coral Crepe for Fashionistas. Embroidery pattern runs around the neck and extends to form a sort of panel in green, white and blue color. 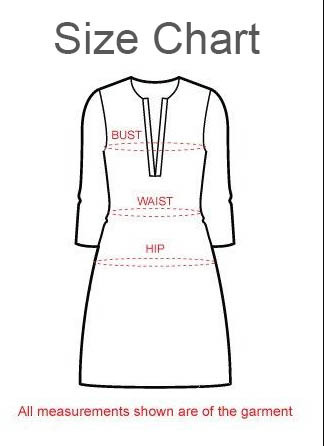 The simple three-fourth sleeves and base of the tunic comes with blue taping and nail the simplicity factor adequately. Team this one with a white chudidaar we say!